The number one problem that arises between roommates is about cleanliness. Living with a messy roommate can create strong rifts between you two and can make your life stressful. If you are an especially clean person and a clean house makes you happy, you know just how consuming having a messy roommate can be. Rather than getting bent out of shape about the mess, there are a few things you can do with your roommate to clean up the mess and help them live a cleaner lifestyle. If you have a sense that you are about to live with a messy roommate, it’s a good idea to create a roommate agreement within the first few weeks of living together. A roommate agreement is a document that lists the rules of your home and what is and is not allowed to happen amongst the roommates. Within this agreement, you can create a rule stating that dishes must be done within 24 hours or you cannot leave your belongings in the common area. If you find that your messy roommate hasn’t changed at all since writing the roommate agreement, the next best thing to do is to confront them. This doesn’t mean attack them for the mess that they left in the apartment. It means calmly going up to them and explaining how their messiness makes you feel. Use phrases such as “I feel” rather than “You are.” They are more likely to respond to your complaint if you make it about how you feel. 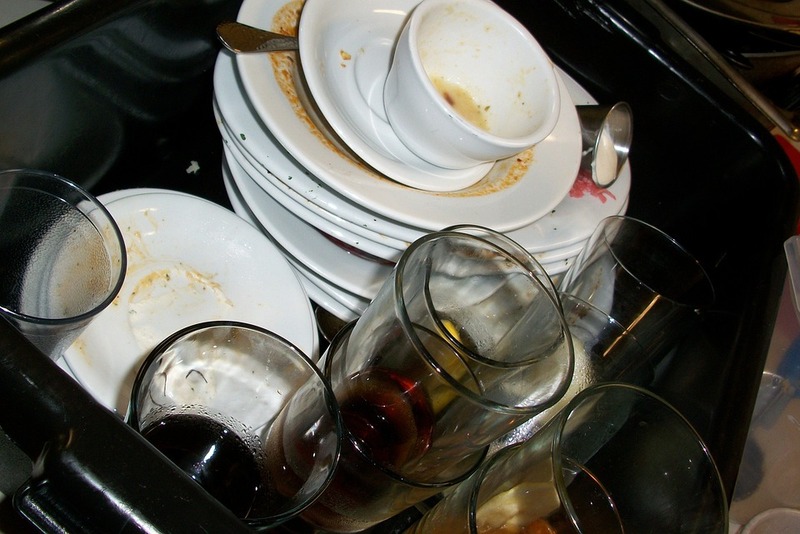 Maybe your messy roommate needs some guidance on cleaning up. Not everyone was raised the same way and may not know how to properly clean a house. This is a great chance to teach your messy roommate some valuable skills that they can take throughout life. Set designated cleaning days each week where you both clean up the apartment together. Not only will you teach them how to clean, but you will also know that they are definitely cleaning and not just sitting watching Netflix when you asked them to pick something up. It will also cut down on the amount of time you two spend cleaning. It’s important to have your own separate space away from your roommate. If you live in an apartment, make your messy roommate aware that your bedroom is private and is your separate space. This allows you to have some type of control over how messy or clean the space is. If you share a dorm room, which can be even worse if you live with a messy roommate, divide the room into separate spaces. You will have one half of the room and your roommate will have the other half. If it helps, you can even put a line of colored tape on the floor to show how the room is divided. Remember when you were little and you would shove all of your toys and clothes under your bed or in your closet when your mom asked you to clean up? Your room looked clean, but it wasn’t really. To give the illusion that your house is clean, condense your roommate’s mess to one spot for them to clean up when they get home. This will also send the message that you are tired of their messy habits. If you really feel strongly about having a clean house you can swallow your pride and just clean up your roommate’s mess. After many attempts at trying to get them to clean up, you may not have gotten through to them. Now is the time to play “mom” and pick up after your messy roommate for the sake of having a clean and comfortable home. This may be difficult for some people, but if you can look past the mess and ignore it, you won’t sacrifice your relationship with your roommate and will stop worrying about the mess. While some people let the mess of their roommate consume their life you don’t have to. Simply go on with your life and stop thinking about the mess at home. Living with a messy roommate can be one of the most challenging parts of college. Before moving in with someone, discuss their level of cleanliness. Be truthful about what you consider to be clean or messy. If you do end up with a messy roommate, confront them about how you feel. Try to clean up the apartment together to save time and make sure that they are doing their fair share. Keep a separate space for yourself to keep as clean or messy as you’d like. Lastly, if they are still messy, you can clean up after them or just try to ignore it.